Nick Rekowski is a senior at Tunstall High School. This is his first year on the Trojan Messenger staff. Outside of school, he enjoys playing basketball, listening to music, and watching sports, more specifically, the Pittsburgh Steelers in football and the UNC Tar Heels in basketball. 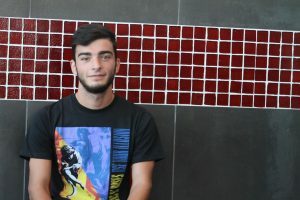 After graduation, he plans on attending UNC-Charlotte and majoring in either journalism and broadcasting or criminal justice.